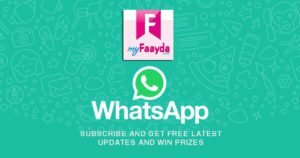 Welcome to Myfaayda Whatsapp Subscription, Thanks for your overwhelming response for us and using myfaayda.com. We glad to inform you now you can enjoy best online deals alert on your Smartphone via whatsapp. Just Connect with our whatsapp subscription we make sure you that you will delight with every deal alert and you will never miss any online offers, deals, discounts and freebies. You Will Receive a “Thank you” Confirmation Message. WHAT YOU WILL GET AFTER SUBSCRIBE ? 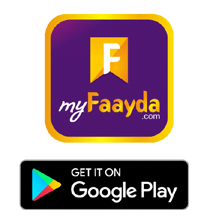 myfaayda.com has tagline “i know what you want” which means we understand your requirement of shopping and we always trying to provide best deals and offers which makes you smile while shopping and reduce the weight on your wallet. you will get best online shopping deals and offers from top leading online shopping websites. Its helps every shoppers greek because now they dont need to go site by site to find the best offers, we have some fresh youngsters for it….just come to myfaayda.com and and go that website via our links to purchase. Either you want to buy mobile, led, clothes, kitchen appliance or anything surf on our site to get the best of it. Myfaayda.com always trying to inform every visitor about the product and its lowest prices, related discount or coupons or freebies and many more……and its all with single place. Yes, our system select 2 lucky Whatsapp Contacts Randomly every month, and winner will be given Rs. 100 Paytm Cash absolutely free. winners We are not done yet, Two Lucky WhatsApp Subscriber will Win Amazon Voucher Worth Rs. 250 Each, Every Week. So get ready guys, and we are waiting for you to be in touch via WhatsApp Us! Just Subscribe now and avails not just great deals and offers but also MANY FREEBIES Subscribe us Now & Enjoy Great Deals !! !